Is this where the Derbyshire surname GREATOREX began? An email from London with a photo, consulting learned tomes, a challenge via a Mailing List, and another email reporting a successful walk. Please read on. See Old photo and Ariel photo. comes from, from around 1100 AD. 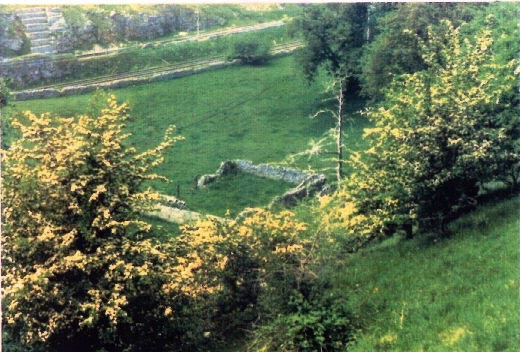 Remains of Great Rocks Farm in 1980's. must explain the plural form. Cf also the surname Gre(a)tt(o)rex. Gitterixe Dalle 1640 Map, cf Great Rocks Fm supra 179. 9 have "A", only 1 has "E" and none has "O"
Anyone feel energetic and would like to solve a problem??? fine and warm but breezy and hazy. was brought up at nearby Blackwell Mill Cottages. OS Map as Buxton Bridge. at the top end of the dale ; i.e. that nearer the road and Buxton Bridge. to indicate their former locations. back to you before 26th. the remains of a homestead, I could not say. will suffice - nothing strenuous. surnames, first began about 1000 years ago. not mentioned in the Domesday Book. in to the ownership of Lichfield Cathedral and it's monasteries. perform military service for his sovereign in wars in Southern Ireland. variants, through nearly a thousand years. died out in the Midlands. Wheston and Fairfield, at an annual rent of 19 pounds (5 May 1364). looks like the Greek CHI RHO. GREATRAKES were friends of the diarists and were mentioned in their writings. >By 1750 the now universal spelling was used by almost everyone. engineer was born. Mr. Glover writes on the 28th of August, 1856, to R.C. surrounding villages that might be of interest? which is quite a well-known name in Derbyshire and English history. most of Winster's High St. at one time (correct me if I am wrong). and was a local wireless broadcaster. Emma is my great great great aunt. found in the Derby Local History Library. NOTES ON THE FAMILY OF GREATRAKES. PART I. BY THE REV. SAMUEL HAYMAN, B.A. The family name, as was not uncommon, has been spelled in a variety of ways. so extensively carried on in the district. is followed and mined for the load-ore which it contains. Sink shafts, build lodges, cottages, or coes. And gain possession in the self-same Rake. Freeing and chasing of the Stole to th' Stake. demolition. The little hamlet top right is Tunstead - of John BRINDLEY fame. onto the tarmac lane at Tunstead. 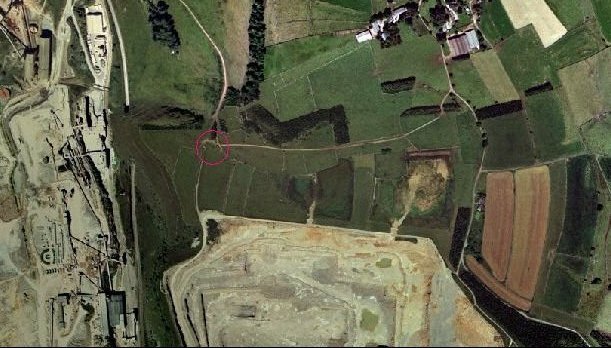 distance into Great Rock Tunnel - just to the left of the red circle. "Serendipity" means the faculty of making happy chance finds. text is a piece of serendipity for me. Bridge to live with her son John Wilde and his wife "Sissie"
at Great Rocks Farm, Wormhill. tending her mother in her final years. to her childhood home of Shellow Farm, Chelmorton. some to have derived from a simplification of the surname Greatrex.